Fund the production of the world's first cake flavoured vodka. Developed by Michael and Jenny Mills and Javan Gilbert. Michael Mills and his family have significant experience in the drinks industry as well as mentoring and advising startups. Early in 2017 step-son Javan Gilbert hit upon the idea for Vodcake: the first cake flavoured vodka in the world. Javan designed the packaging and together they settled on three flavours. After attending numerous trade shows and obtaining significant interest from industry players, Vodcake are now ready to do their first large-scale production run. Vodcake would like to raise £18,000 to produce 3,000 larger bottles (70cl). They expect to sell them within 6 months and are offering to pay their investors back at the end of the period, plus a profit of 11.8%. Vodcake successfully raised £18,000 to fund the production of 3,000 bottles 609 days ago. Check back soon for more offers. REASON: Payment from a US customer experienced a delay. Vodcake is the brainchild of Javan, an ex-accountant with a taste for both cake and vodka. 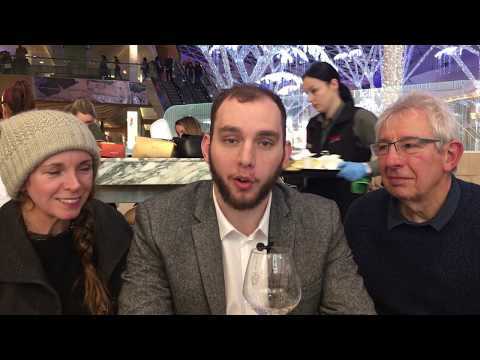 In early 2017 Javan consulted with his step-father Michael and together they refined the Vodcake concept, settling on three flavours, Black Forest Gateau, Cheesecake and Tiramisu and a distinctive packaging. 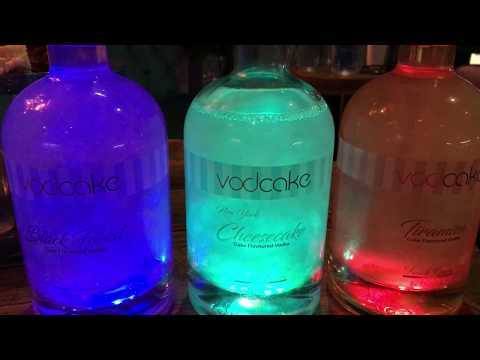 Vodcake's packaging includes a light-up bottle with carefully-chosen shading. The vodka contains candurin giving it a unique sparking effect. The vodka also changes colour in the light. Recommended retail price is £40.00 for Vodcake's 70cl product,and it is aimed at the premium market and urban young professionals. It has tested well with industry buyers and in customer surveys. They are also foreseeing significant international demand. Vodcake is seeking to raised £18,000 with repayment at the end of 6 months plus an 11.8% profit. The funds will enable a first production run of 3,000 bottles of Vodcake, 1,000 bottles of each of the first three flavours: Tiramisu, New York Cheesecake and Black Forest Gateau. The funds will be spent on purchasing, colouring and labelling of the bottles, caps, lights, and packaging and procuring the vodka. Production will be done by Vodcake's production partner H&A Prestige Bottling, a recognised industry player. Vodcake's sales will be geared to utilise the stock produced to meet Christmas demand and to meet the scheduled repayment date. The wholesale price for Vodcake's 70cl product will be circa £20 + VAT (retail £40 inc VAT). Vodcake will sell the product to wholesale operations including online platforms and by direct sales online to maximise revenue. It is further intended to launch three additional flavours in the autumn for seasonal occasions. Vodcake has been showcased at trade shows during 2017. Vodcake has also entered discussions with several blue chip companies in the corporate entertainment and leisure and tourism sectors who may place significant orders.